Although Nao and Akiyama had survived the third ?smuggling stage? 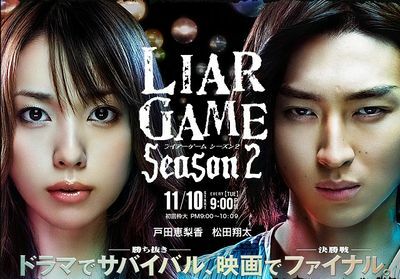 to make it through the ?Liar Game? they were far from finished with the game?Unable to turn down the cunning invitation sent from a Liar Game secretariat, Nao finds herself playing the survival game of extreme situations yet again. On the other hand, Ellie, a woman knowing of secrets, comes in contact with Akiyama. And with that, another tale of fear begins.